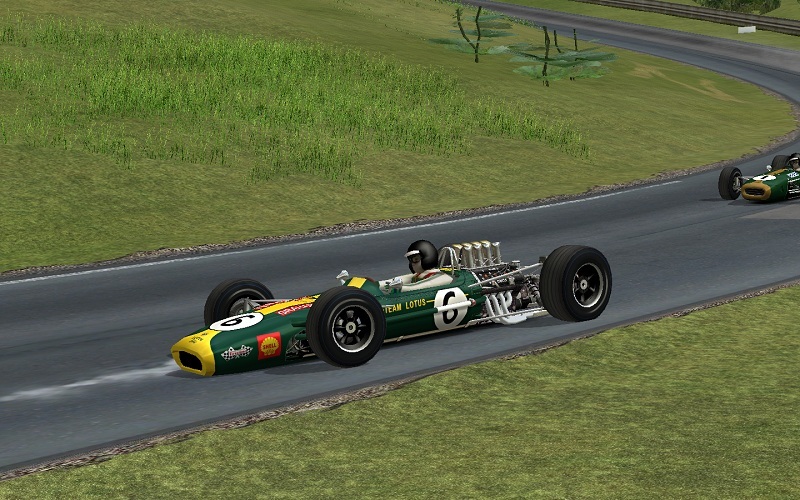 Well I've recently got permission from SlimJim to convert the rFactor F1 Classic mod to GTL and wanted to share with you my progress. This is my first attempt at a conversion so it has been a learn as I go experience. I have had some great help from BorekS (GTR2 Marcos and now Cooper T73 fame), he has been my patient 'coach' and also Whipcracker who has done some of the cars physics and now deep-strike who is helping me also with the physics. Because without you this wouldn't be happening ! So here are a few pics of how it is going. These from just before Christmas and my ambition is to have it ready for release both here and at F1 Classic of course in about 1 - 2 months. Quite a bit more work has been done since these pics, like driver suits and helmets but these piccys will do for now . Wow! tell us more about wich cars and track do you plan to convert? great work! 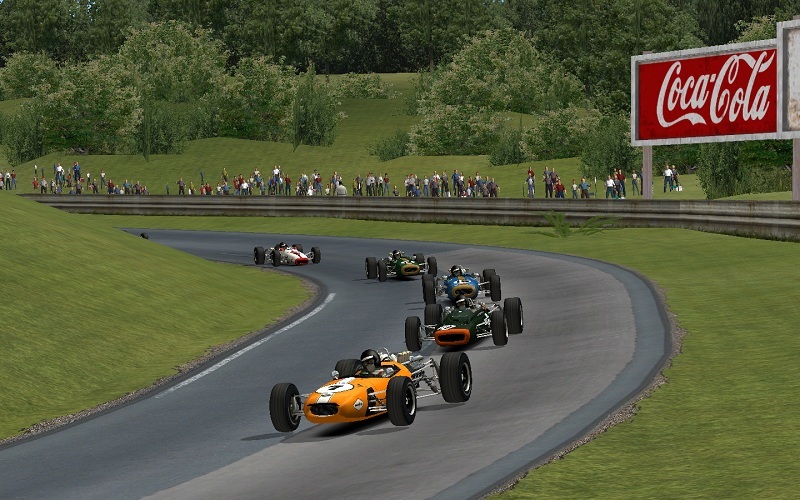 I am doing the entire F1 Classic mod - all the cars and variations but there are no tracks, just the cars. All the cars have been converted and put into their respective places. You can select each group individually i.e the Eagles are separate to each other as are the Brabhams and the Lotus cars. 29 individual cars and possibly another 2 fictitious skins, like the yellow/orange Brabham you see in one of the pics and a BRM. The Eagle T2G's are Indy Eagles. I might just leave it with the historically correct cars though, still undecided on that front. The main work left to do is some of the car physics and the fiddly bits like driver position, hands to wheel placement, icons and biks....that sort of stuff. Oh I would keep them all, the T2G is a real car after all. I wouldn't exclude it just because it ran at Indy. Who knows what other cars might be out there that could run with it, you might start a whole group of people wanting to put together a grid of classid Indy cars. I meant just the Brabham and the BRM. Well it is only 2 cars (skins). Looks great Loose Ether! 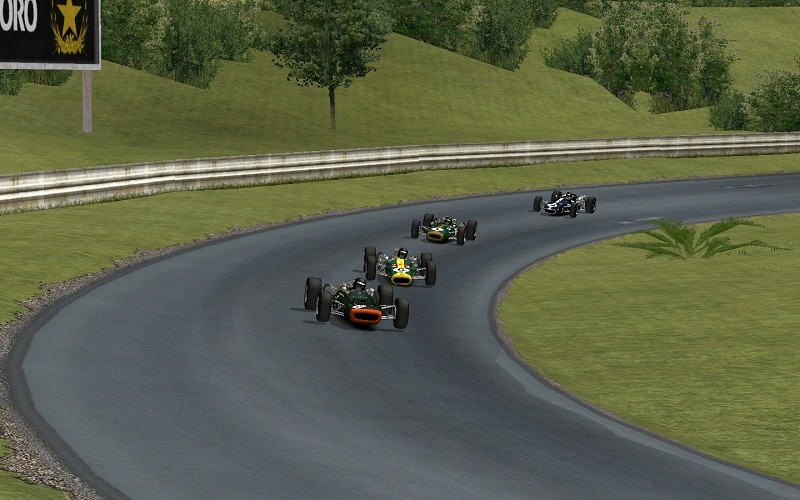 I think you should keep the fantasy livries too, because you can never have too many historic F1s! I'm glad you guys like how it's going and I am really eager to get it released but when it's done is soon enough. Well it is no problem to leave the other two in as well, seeing as they are done......ok, they are also staying IN !! 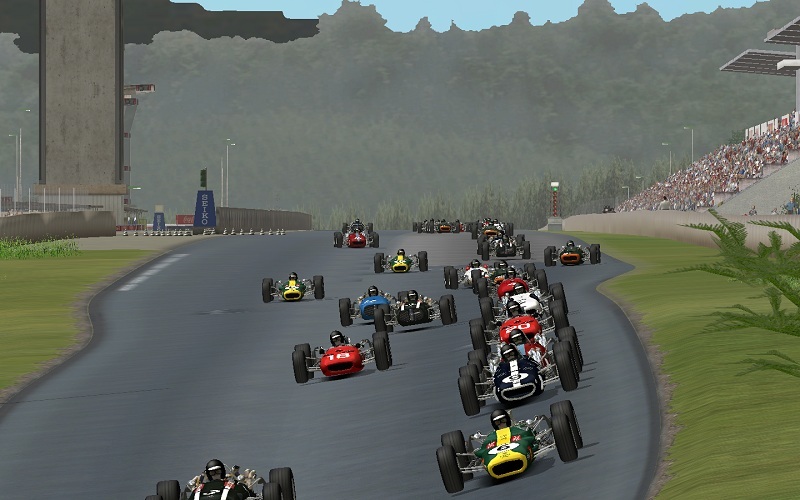 Remember though I'm just converting it and the hard work was done by SlimJim and co who created the mod for rFactor. Having said that, I don't think you will be disappointed when it is released for GTL ! Good call leaving those 2 cars in in m8 as anyone who doesn't want them can simply delete them if they want to. They say the newer F1 cars can in theory run upside down because of there tremendous downforce... well I guess those guys down in Australia aready new that fact, he he. Hey Birthday Boy !!! - Don't forget that things always happen first here as well - like your Birthday. Thanks for the kind comment Gee. I will wait till it is done too before I announce on F1 Classic ( in case you were wondering). If your nose runs and your feet smell you are built upside down - I guess that's been me. If your nose runs and your feet smell you are built upside down - I guess that's been me. " Hi... you must be my long lost bro then!!!!! Wonderful Mod , good idea ! Many thanks to all involved. @alain62 - glad you are looking forward to and I hope you like it when I finally get it out there. Yes it is very exciting for me too as this is my very favourite period of F1 - loved GPL to death and still give it a spin even today. As I mentioned before I am very lucky to have the help of such great guys and to have this opportunity to add to my beloved GTL and the only decent thing to do is to share it with everyone who wants it ! And it was very kind of Slimjim to give me permission ! Awfully sorry And of course Deep-Strike! Have to admit I was so excited I didn't read fully your post,got a bit carried away! This can happen in the excitement. I felt the same when I was asked by Loose Ether if I wanted to help him with this project. And one thing let me tell you, there is an awesome piece F1 history for you. Hey deep glad you dropped by - this is your thread as much as mine now mate. Anything you want to add as to your progress, feel free. Now....where are my HDCs !! Do not panic, your hdc's are on the way.